CHARBONO….which we simply can’t stop and won’t stop celebrating!!! Looplocked...debut vintage has ACME swooning. ACME Field Trip to Cornell Vineyards... Heavenly. We first had the pleasure of meeting Bibiana González Rave last summer on a “Glamping Trip” to a remote vineyard in Fort-Ross Seaview to learn about Pinot Noir clones. Having already been a devotee of her wines and enamored by her path, we were overjoyed for the opportunity to meet her and learn more. Her energetic passion for life, knowledge, and wine is as illuminating as her effervescent, soulful personality and sparkling smile. A true light to be around, needless to say, we fell hard! For her and her wines…and our new girl crush ensued. A native of Colombia, she first considered making wine as a 14-year-old, attempting later to make a small batch in a 5-gallon glass jar in her bedroom closet. As one might expect, that experiment failed, yet she was determined to pursue winemaking. She moved to France at a young age to attend school earning two degrees: one as a Technician of Viticulture and Oenology in Angoulême, and one in Oenology from the University of Bordeaux. She went on to work several harvests in France at some of the most prestigious properties including Bordeaux’s Château Haut-Brion, the Northern Rhône’s Domaine Michel & Stéphane Ogier and Burgundy’s Domaine Du Devevey, where she made a big impression on some of France’s most legendary vintners. 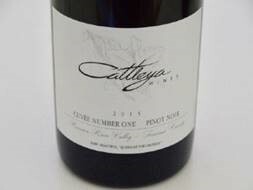 In 2012 after working with several other esteemed estates around the globe including Pahlmeyer and Wayfarer in California, she decided to utilize her experience to start her very own project in California, Cattleya, and another, Shared Notes, with her husband, Jeff Pisoni (yes, as in Pisoni Family Vineyards – the rock star Pinot Noir producer in the Santa Lucia Highlands). 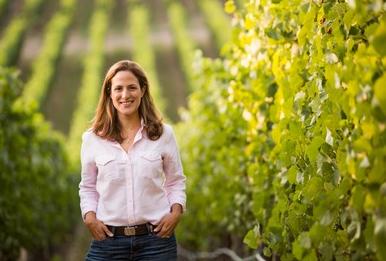 It wasn’t too long after that she was named Winemaker of the Year by the San Francisco Chronicle, praising her exceptional work. Cattleya is named after an orchid, the national flower of Colombia, Bibiana’s native county. A Goldilocks of a Chardonnay, this has just the right amount of texture and weight with elegance and finesse. Coming from meticulously cared for vineyards in the heart of the Russian River Valley, this is a beautifully crafted wine with delicate notes of white peach, nectarine, orange blossom, and ripe melon and pear. The palate is soft and round with the perfect kiss of acidity followed by the most silky, smooth finish. 200 cases produced. The Cuvée One bottling is a blend of two different clones, Pommard & 115, coming from the same vineyard in the Green Valley AVA, a small and very distinctive area inside the Russian River Valley. An intensely flavored, medium-bodied Pinot Noir with layers of fresh strawberry and raspberry fruit sprinkled with sweet baking spices of clove, nutmeg, and cinnamon. This is a beautifully complex Pinot Noir that boasts structure and finesse all in one. 143 cases produced. 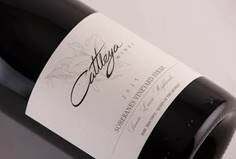 I have been an unwavering fan of this Syrah since its first vintage! Coming from the Soberanes Vineyard in the Santa Lucia Highlands and farmed exclusively by the Pisoni & Franscioni families, this is an impeccable expression of Syrah encompassing beauty and finesse. Reminiscent of a great Cote Rôtie, this is insanely aromatic, chock-full of fragrant white flower, crushed violet, dark black fruit, white pepper, and smoked ham. The tannins are sturdy yet fine and perfectly integrated alongside a long, silky finish. Only 87 cases produced. These are incredibly rare and tightly allocated. Please email us if you would like to add any of these spectacular and stunning wines to your collection. You will be most rewarded. REVIK WINE Co. - INAUGURAL RELEASE! This Fourth Of July ACME wants to help you celebrate our Independence!! Out & about in Saint Helena this weekend?